Understanding the Themes of the Filipino Novel "Noli Me Tangere"
"Noli Me Tangere," the first novel written by the Philippine’s national hero Jose Rizal, mirrors its creator’s persistence in attaining freedom from the Spaniards. True enough, as Rizal aimed to redeem the country and its people by exposing the barbarity, greed, cruelty and ignorance of the Spanish colonizers, his work reflected the struggles of the Tagalogs — being the first to project such a bold account of living in the 1800s in the Philippines. Likewise, as "Noli Me Tangere" portrays the different aspects of gaining independence, Jose Rizal focuses on social climbers, abusive power, family devotion, self sacrifice, and purity and faithfulness. Representing the various classes of society during the late 1800s in the Philippines, Jose Rizal includes personalities such as Doña Victorina and Capitan Tiago. These characters, indeed, show how people tend to associate with higher classes of society, specifically the Spaniards and the illustrados (“learned" ones) and mestizos. Capitan Tiago, in this instance, portrays this character as he gives friars lumps of money as ecclesiastical donations and even invites the parish curate at his home every dinner. Aside from that, he also supports the government’s tax increases, leading to his title of gobernadorcillo, the highest post a non-Spaniard can attain. Meanwhile, Doña Victorina’s character in the novel shows an obsession in becoming Spanish. She does this by covering her face with too much makeup, dressing just like Spanish women, speaking Spanish (though incorrectly), and basically promotes the “colonial mentality" as she prefers being just like a Spaniard when in fact she is a Filipino. Having been colonized by Spaniards since the 1500s, the author depicts the Filipinos suffering abuse from civil guards, friars and other government officials. Using their power to mistreat civilians, the civil guards harass them because of simple causes, such as not rendering the customary salute, not being able to show identification cards, etc. The same goes with friars who commercialize religion through simony and plenary indulgence. Government officials, likewise, make use of their power to control those whom they believe would be detrimental to the Spanish rule. Just as Crisostomo Ibarra, the main character in the novel, experiences this through the death of his father (Don Rafael), this theme in "Noli Me Tangere" comes to life. Never forgetting the positive qualities of the Filipinos, Jose Rizal still highlights devotion to one’s family through Crisostomo Ibarra, Maria Clara and Sisa. With the death of Don Rafael, Ibarra’s father, Crisostomo traces all means to seek for justice. This is also true with Maria Clara, an obedient daughter to Capitan Tiago. Consenting to her father’s request that she marry a Spaniard (as requested by Padre Damaso), Maria Clara adheres to this (but gets very ill afterward). Sisa, on the other hand, definitely shows her devotion to her family by doing everything to serve her family. Considering her children (Basilio and Crispin) as her treasures, she endures the trials she goes through just to keep them secure. Just as Jose Rizal sacrificed himself for his country, "Noli Me Tangere" also conveys this message all throughout its text. Starting off with Sisa’s never-ending sacrifices for her children, she withstands her husband’s beatings and even takes on the journey of finding her sons, thereby showing her real love as a mother. Maria Clara portrays purity and faithfulness as she remains true to her love for Crisostomo Ibarra. Even though she is engaged to a Spaniard, she still does not submit herself to him because of her undying love for Ibarra. Thus, she prefers to become a nun and hence dies afterward when Padre Salvi rapes her. Another very evident theme in the novel turns out to be patriotism. Portrayed by Crisostomo Ibarra and Elias, these two men earnestly desire for independence from the oppressors. Although different in their means for seeking reform, they both profess their goals. Since Elias resolves for a revolt against the Spaniards, he finds all means to lead a revolution against the friars, civil guards and government officials. Believing that God will bring forth justice over Filipinos depicts patriotism by all means. All in all, "Noli Me Tangere" shall forever remain as one of the most powerful tools the Philippines has ever had to spread awareness on the “social cancer" and to fight for independence. 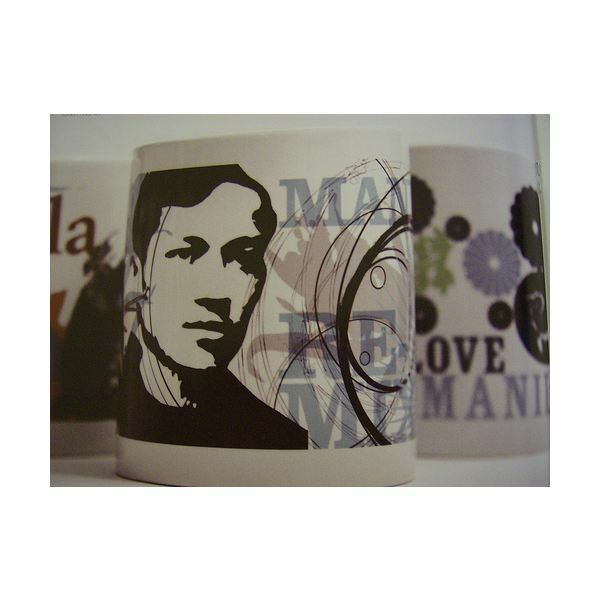 As Jose Rizal used various themes to spread the word regarding the battle against abusive power, injustice, false religious claims and other inappropriate dealings with innocent people, the cause Rizal started more than a hundred years ago shall endure. Gagelonia, Pedro A. Rizal's Life, Works, and Writings. National Bookstore, Inc., 1974.